Porcelain dental veneers are some of the most popular and effective cosmetic dentistry options available. One of the reasons for this is that porcelain veneers are able to address so many common concerns. In fact, porcelain veneers can have such a positive effect on the appearance of your teeth that you will end up with a completely renewed smile! 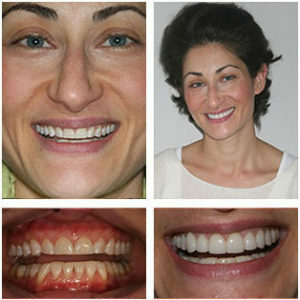 Advanced porcelain veneer treatment techniques combined with the experience of our cosmetic dentist, Dr. Harold A. Pollack, can ultimately restore your smile with beautiful results. In addition, porcelain veneers are color-matched to surrounding teeth to provide the most seamless blend possible, and they are virtually stain-resistant. They are also meticulously designed and created to provide natural-looking results. Plus, porcelain veneers are known for their long-lasting outcomes. With good at-home oral hygiene habits combined with routine dental check-ups, porcelain veneers could last for decades. Dr. Pollack offers two types of veneers to accommodate his patients’ dental needs and aesthetic goals. Standard porcelain veneers at our office are the most common choice among our patients with aesthetic concerns such as gaps, chips, cracks, stains, and misalignments. They also offer protection for a tooth that has been worn down or damaged, and are color-blended to the surrounding teeth. The results of porcelain veneers are expected to last for many, many years with the proper care and routine dental exams and cleanings. Our office has always practiced a conservative approach to cosmetic dentistry, and we strive to provide porcelain veneer procedures that require as little alteration to the existing tooth structure as possible. Our conservative, minimalist approach also extends to another dental veneer option that can create a picture-perfect smile: no-prep veneers. For this type of dental veneer, Dr. Pollack utilizes DURAthin® veneers, which are thin, durable porcelain veneers that can correct smile or tooth imperfections without having to remove any of the natural tooth structure. The preparation of traditional porcelain veneers often requires slight removal of some of the tooth enamel, so no-prep veneers can be a great option for a non-invasive smile makeover. Each patient has a unique smile and Dr. Pollack will take time to understand your goals and the complexity of your case during your personalized cosmetic consultation. This will help determine whether you are good candidate for DURAthin® no-prep veneers or if standard porcelain veneers are the more ideal treatment for your needs. During your consultation with Dr. Pollack and his team members, you will have your teeth examined and discuss your concerns, needs, and goals. A comprehensive exam and x-rays will determine whether porcelain veneer treatment is ideal for your needs, he will create a personalized lifetime treatment plan. Dr. Pollack strives to perform this treatment as conservatively as possible, without the need to make excessive alterations to the existing structure of your natural tooth. First he will create a wax prototype which is a replication of your potential Smile Design showing veneer shape and length. Once you approve this prototype you can schedule your next appointment, where the tooth will be prepared. At this time, Dr. Pollack will take an impression to be sent out to the dental lab and they will craft your porcelain veneer. During this time, Dr. Pollack will place a temporary veneer over your tooth. At your following appointment, he will lay your permanent porcelain veneer in place so you can see how it fits and feels. If you are satisfied, Dr. Pollack will then place the veneer with a permanent bonding material. 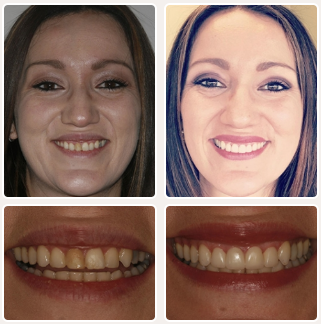 At the next visit, Dr. Pollack gives the veneer a final polish and the treatment is complete. Porcelain veneers can serve as an excellent treatment all on its own, or as part of a comprehensive smile makeover that addresses a variety of cosmetic dental concerns. Dr. Pollack will be happy to discuss the porcelain veneers procedure with you during your initial consultation and help you decide whether this treatment is ideal for your needs. Are you considering porcelain veneers? Below, you will find answers to some of the more frequently asked questions about this advanced treatment. If you would like further information, a member of our team at Beautiful Smiles will be happy to assist you. If one or more of your teeth are affected by severe stains, chips, gaps, mild misalignment, or a “worn down” look, porcelain veneers may be the right option to address these concerns. A consultation with Dr. Pollack is the best way to determine whether you can benefit from this procedure or if an alternative treatment will be a better option to address your needs. Porcelain veneer procedures are typically performed utilizing a local anesthetic, so the process should not be painful. If you suffer from dental anxiety, our practice offers nitrous oxide sedation techniques that can help individuals relax during treatment. We also do everything we can to ensure your comfort while the procedure is performed. What is the difference between standard porcelain veneers and “no-prep” veneers? Standard porcelain veneers are one option for our patients looking to conceal concerns such as gaps, cracks, and irregular tooth sizes. Porcelain veneers are often considered the gold standard for addressing these types of dental concerns, and they can last for many, many years. While Dr. Pollack will try to make these veneer treatments as conservative as possible, some degree of modification to existing tooth structure is often necessary. No-prep veneers, also known as “chairside veneers,” are another option available at our dental office. We use DURAthin® dental veneers, which adhere to the front of the tooth without the need for enamel removal. The main difference between DURAthin® veneers and a standard porcelain veneer is that the DURAthin® option retains all of the existing tooth structure without requiring alterations or modifications to accommodate the veneer. The combination of Dr. Pollack’s extensive experience performing porcelain veneer procedures along with the precise design of the veneer itself typically yields very natural-looking results. In fact, you may not be able to distinguish the veneer from your original teeth once the treatment is complete! How long can I expect the veneers to last? Many patients experience the positive results of porcelain veneers for decades after the initial treatment. However, it’s important to maintain good oral hygiene and to have routine dental check-ups and cleanings. These habits can extend the life of porcelain veneers and keep you smiling brightly well into the future. 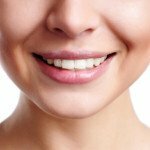 How much do porcelain veneers typically cost? The price of porcelain veneers treatment varies from patient to patient, depending on a number of factors. These factors include the number of veneers that will be necessary to achieve individual goals, the amount of tooth preparation required, and other issues. A member of our team will go over the total cost once your preliminary treatment plan has been created. Our practice offers an array of dental treatment financing and payment options to help make this procedure as affordable as possible. What is the difference between a dental crown and a porcelain veneer? A dental crown is a restoration that generally covers the entire tooth, while a porcelain veneer covers only the front portion of the tooth. Crowns are often necessary for teeth that have a more severe amount of structural damage caused by decay or injury. Once Dr. Pollack has examined your teeth he can talk with you about whether a veneer or a crown may be the more appropriate option for your needs. If you would like more information on porcelain veneers, or if you would like to schedule a consultation with Dr. Pollack, please contact Beautiful Smiles today.